Chimpanzees understand innovation. When will you? I got my first live dose of TED talks recently at the TEDx Gateway Arch program in St. Louis. A full day of 18-minute TED presentations left me drained … and really, really inspired. You’ll be reading more in the near future, but for now I’m going to start with chimpanzees. You read that right. 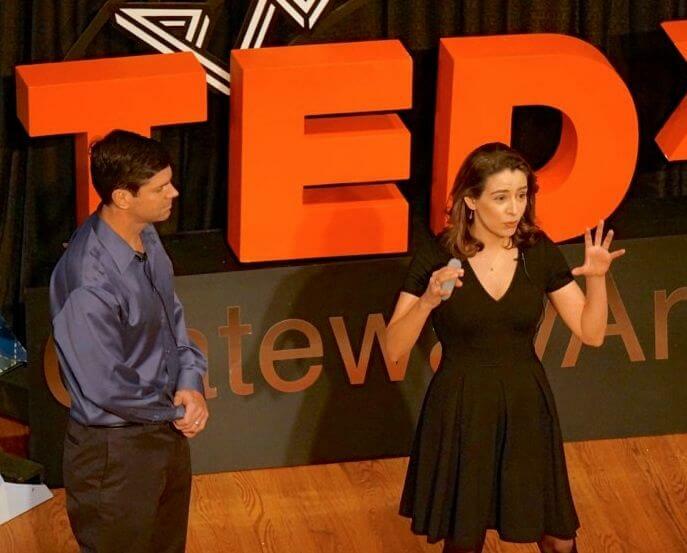 It wouldn’t be TED without chimpanzee researchers, and TEDx Gateway delivered. Crickette Sanz and David Morgan have studied wild chimpanzees and gorillas in the Republic of Congo, and they offered a fascinating look at how wild chimps use rudimentary tools to solve complex problems. They showed footage of a mother chimp using a branch to break open a bee hive and collect honey for her family — not terribly remarkable, until you consider that this chimp was clinging to the side of a tree five stories off the ground at the time — with two baby chimps clinging to her for good measure. “So what?” you CPAs are saying. Here’s what: If chimpanzees can use new tools to innovate creative solutions to complex problems, what’s our excuse? We’ve had access to social media for almost 10 years now. The cloud has been around for five years or so. Mobile technologies have changed how we do everything. And still we’re dragging our heels, waiting for best practices, insisting on ROI, worried about security. And while we sit here twiddling our thumbs, the tipping points have come and gone. Best practices? How about being where our clients are — and trust me, all of our clients are doing these things. ROI? What’s the return on not investing in new technologies? Security? Are you kidding? We give our credit card numbers to complete strangers every day, and we’re worried about cloud security? The tools that will allow us to do insanely innovative things are here. Figure out how to use them now.